Green Part Store is the best place to find parts and accessories for any model of John Deere Zero Turn Mower. We carry a vast selection of parts with the goal of stocking every John Deere part in existence, so if you need parts or accessories for any John Deere equipment, come here first! 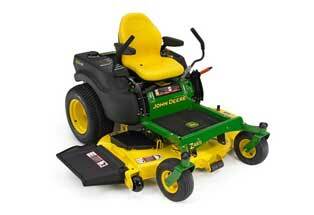 To make it easy, we've organized our parts by John Deere Zero Turn Mower model below. Feel free to browse, or alternatively, enter the part number you're looking for in our Part Search Box up above. We carry everything you need to fully maintain and accessorize your John Deere Zero Turn Mower and any other John Deere equipment you use. Please contact us if you don't see the part you're looking for — if we don't have it, we can get it!